The premium Therapeutic grade evening primrose oil by SVA organics is natural and refined in formula. The primrose oil is beneficial to reduce various skin issues, such as dryness, wrinkles, blemishes, fine lines, aging signs, etc. It is enriched with essential fatty acids, which can strengthen the hair and prevent hair breakage. 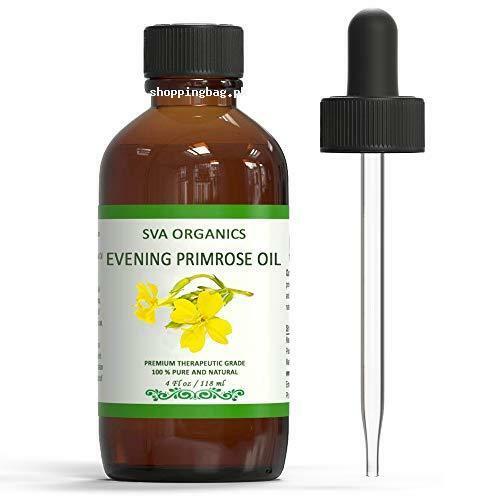 You can find the 4-ounce bottle of 100% pure evening primrose oil from Amazon online shopping in Pakistan. Order now and get it at your home door. Purest, highest quality refined evening primrose oil. Evening Primrose oil is a potent natural oil known to be effective for a wide range of skin issues. SVA ORGANICS is the best because it offers over 500 different oils for personal care/blending.